The Legislature recently passed a bill (SB 486) which becomes effective January 1, 2018, and which adds another disciplinary tool to the Contractors' Board. We believe this took is actually a huge benefit to the industry as well as the Board as it allows the Board to impose something less than a Citation with a five-year "Scarlet letter" reported on the CSLB website. The Contractors' Board previously had three disciplinary tools in its arsenal: a Warning Letter, a Citation, and an Accusation. A Warning Letter notified the contractor of the violation, but it is private and would merely stay in the file unless there were further violations of the same section. A Citation is like a traffic ticket, which if paid and complied with, the license stays in full force and effect. An Accusation is an effort to suspend or revoke a license; the settlement of that Accusation, if it can be settled, would include some substantial terms of probation. Since we are talking here about minor violations which only previously gave rise to a Citation, this article won't focus on an Accusation. The biggest problem with the Citation is that it is publicly reported on the Contractors' Board's website for five years from the completion of the Citation. This means that if you appeal it, it is reported for five years from when you ultimately pay the fine and do what you are ordered to do. The requirement that the Citation be reported for at least five years has caused many contractors to appeal Citations. Just appealing the Citation usually takes six to eight months, or more, before a hearing is held. The Contractors' Board has reported that their costs of defending an appeal of a Citation sometimes is as much as $7,500, and that is not recoverable from the licensee and that is why liked the idea of the Letter of Admonishment. The industry should also like the idea of the Letter of Admonishment if it is properly used. Starting in January, the Contractors' Board can issue a Letter of Admonishment. This is similar to a reproval in other license categories, and the Letter of Admonishment would, in writing, describe the nature in facts of the violation. The initial appeal process would be through the Contractors' Board itself, rather than through an Administrative Hearing before the Office of Administrative Hearings. There is still a judicial review process, but any lawyer would likely tell a contractor that by the time it takes to complete the judicial review process, the Admonishment would no longer be on the contractor's file if it was not appealed. The benefit of the Letter of Admonishment is that it is reported for one year. However, this tool will, hopefully, pacify many contractors concerned about disciplinary actions that show up on their public website for extended periods of time for what some would view as "ticky tack violations" or violations that didn't cause any injury to the customer. I recently had the pleasure of giving a seminar along with the Registrar of Contractors, David Fogt, before a trade association of contractors. Mr. Fogt indicated that the Letter of Admonishment would be used for technical violations, such as form violations, and in some cases, failure to properly register salespersons. While he did not say so, it is unlikely to be used in any instance where there is a finding of a monetary injury to a consumer. As noted, it is hopefully a means of easing up the workload of the disciplinary staff of the Contractors' Board, allowing them to save cost on appeals, yet assisting contractors by reminding them of the obligations under the law without penalizing for the five years that the Scarlet Letter of a Citation remains on the public website. We will have to see how the Contractors' Board utilizes the Letter of Admonishment but for now, it seems like a tool that would greatly benefit the industry. 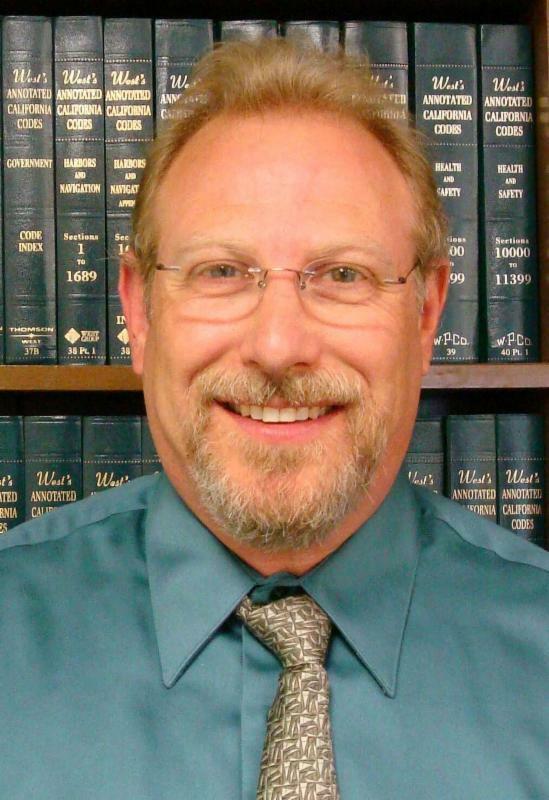 Bruce Rudman has been practicing in the area of California construction law for 20 years. He is an acknowledged expert in the area of contractor's licensing and has represented hundreds of contractors over the years before the Contractor's State License Board. Bruce has been published on numerous occasions and is a respected speaker on Construction Law, including licensing and contract requirements, Mechanic's Liens and other construction related issues and remedies. Abdulaziz, Grossbart & Rudman provides this information as a service to its friends & clients and it does not establish an attorney-client relationship with the reader. This document is of a general nature and is not a substitute for legal advice. Since laws change frequently, contact an attorney before using this information.